Πάνω από 15 χρόνια μετά την ανάδυση των πρώτων ψηγμάτων διαδικτυακής δημοσιογραφίας, η έρευνα στις κοινωνικές επιστήμες πάνω στο θέμα έχει πλέον συστήσει ένα αξιόλογο κόρπους. Σε ένα πρόσφατο άρθρο τους στο επιστημονικό περιοδικό Journalism (Οκτώβριος 2009), η Eugenia Mitchelstein και ο Pablo J. Boczkowski από το Northwestern University των ΗΠΑ επιχείρησαν να συνθέσουν τα αποτελέσματα της αγγλόφωνης έρευνας γύρω από τα διακυβεύματα της διαδικτυακής δημοσιογραφίας. 1. Το οικονομικό πλαίσιο μέσα στο οποίο αναπτύσσεται η διαδικυακή δημοσιογραφία (business models). 2. Τη δυναμική της καινοτομίας στο χώρο των ηλεκτρονικών ΜΜΕ. 3. Τους τρόπους και μεθόδους παραγωγής της πληροφορίας στο διαδικτυακό περιβάλλον. 4. Τις αλλαγές στο επαγγελματικό γίγνεσθαι των δημοσιογράφων. 5. Τη διάδραση της επαγγελματικής δημοσιογραφίας με την ερασιτεχνική παραγωγή περιεχομένου (user generated content). Το πιο ενδιαφέρον κομμάτι του άρθρου κατ’εμέ είναι η βιβλιογραφία. Πράγματι οι δύο ερευνητές έκαναν μια αξιόλογη προσπάθεια αναζήτησης και καταγραφής των σημαντικότερων επιστημονικών άρθρων και βιβλίων πάνω στο θέμα από το 2000 κι έπειτα. Ahlers, D. (2006) ‘News Consumption and the New Electronic Media’, Harvard International Journal of Press-Politics 11(1): 29–52. 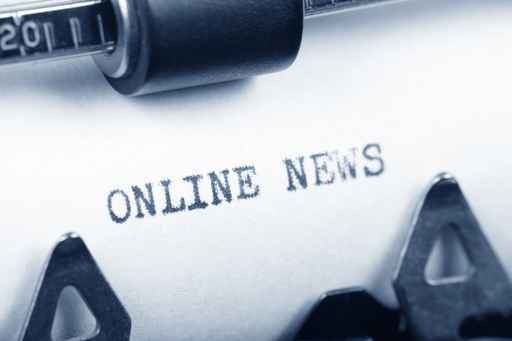 Allan, S. (2006) Online News. Maidenhead: Open University Press. Al-Saggaf, Y. (2006) ‘The Online Public Sphere in the Arab World: The War in Iraq on the Al Arabiya Website’, Journal of Computer-Mediated Communication 12(1): 311–34. World’, Aslib Proceedings 54(1): 56–70. Benkler, Y. (2006) The Wealth of Networks: How Social Production Transforms Markets and Freedom. New Haven, CT: Yale University Press. Future of Media, pp. 239–59. New York: Routledge. ICTs, pp. 270–86. London: SAGE. Boczkowski, P. J. (2004a) Digitizing the News: Innovation in Online Newspapers. Three Online Newsrooms’, Journal of Communication 54(2): 197–213. Ground to Divergent Paths’, Journal of Communication 59(1): 98–116. Boczkowski, P. J. and M. de Santos (2007) ‘When More Media Equals Less News: Patterns of Content Homogenization in Argentina’s Leading Print and Online Newspapers’, Political Communication 24(2): 167–80. of Communications’, Javnost-The Public 11(3): 47–58. Ethnography of New Media Production, pp. 171–84. New York: Peter Lang. clusions’, Media, Culture & Society 26(6): 803–20. Journalism: Emerging Media and the Changing Horizons of Journalism, pp. 31–55. Lanham, MD: Rowman and Littleﬁ eld. Carlson, M. (2007) ‘Blogs and Journalistic Authority’, Journalism Studies 8(2): 264–79. Newspaper Journalists’, Journal of Computer-Mediated Communication 12(2). Ethnography of New Media Production, pp. 45–60. New York: Peter Lang. Media and Society 8(6): 925–47. casting and Electronic Media 47(4): 597–617. Viability of the Subscription Model’, Journal of Media Economics 18(2): 131–42. between Online and Print Newspapers’, Journal of Media Economics 15(2): 91–106. Journal of Management Information Systems 19(3): 17–41. Broadcasting and Electronic Media 46(4): 532–48. Constantinescu, A. R. and J. C. Tedesco (2007) ‘Framing a Kidnapping’, Journalism Studies 8(3): 444–64. of the Red Lake Shootings’, Journalism 7(3): 321–42. De Sola Pool, I. (1983) Technologies of Freedom. Cambridge, MA: Belknap Press. Strategy’, Television Quarterly 37(1): 22–6. Different Types of Newsmedia Online’, New Media and Society 5(2): 203–30. Deuze, M. (2004) ‘What is Multimedia Journalism?’, Journalism Studies 5(2): 139–52. Components of a Digital Culture’, Information Society 22(2): 63–75. pp. 199–209. New York: Peter Lang. Proﬁ le of a New Profession’, Journalism 3(1): 85–100. News’, Journalism Practice 1(3): 322–38. Douglas, S. J. (1987) Inventing American Broadcasting, 1899–1922. Baltimore, MD: Johns Hopkins University Press. Journalism and Mass Communication Quarterly 79(3): 602–18. Esser, F. and B. Pfetsch (2004) Comparing Political Communication: Reorientations in a Changing World. Cambridge: Cambridge University Press. News: The Ethnography of New Media Production, pp. 61–75. New York: Peter Lang. Garrison, B. (2005) ‘Online Newspapers’, in M. B. Salwen, B. Garrison and P. D. Driscoll (eds) Online News and the Public, pp. 3–46. Mahwah, NJ: Lawrence Erlbaum. Newspapers’, American Economic Review 97(3): 713–44. An Assessment’, The Middle East Journal 54(3): 395. Rigidity’, Academy of Management Journal 48(5): 741–63. Gillmor, D. (2004) We the Media: Grassroots Journalism by the People, for the People. Business Model be Translated to the Web?’, Social Science Journal 41(1): 107–13. Reality in the Discourse on Weblogs’, Journalism Studies 6(3): 387–96. Hallin, D. and P. Mancini (2007) Comparing Media Systems: Three Models of Media and Politics (Vol. 3). Cambridge: Cambridge University Press. Media, Culture & Society 24(1): 121–37. and the Future of the Media, pp. 187–204. New York: Routledge. Journalism Practice 1(2): 208–26.Hermida, A. and N. Thurman (2008) ‘A Clash of Cultures’, Journalism Practice 2(3):343–56. Herring, S. C., L. A. Scheidt, E. Wright and S. Bonus (2005) ‘Weblogs as a Bridging Genre’, Information, Technology and People 18(2): 142–71. Media and Society 6(3): 383–401. Alternative Media’, Media, Culture & Society 28(4): 541–60. American Academy of Political and Social Science 597(1): 48–64. International Discussion’, Journalism Studies 1(3): 499–512. The Ethnography of New Media Production, pp. 127–41. New York: Peter Lang. Lawson-Borders, G. (2006) Media Organizations and Convergence: Case Studies of Media Convergence Pioneers. Mahwah, NJ: Lawrence Erlbaum. nalism’, Journal of Computer-Mediated Communication 10(3). pp. 185–97. New York: Peter Lang. Age of the Internet’, Journal of Communication 51(1): 164–93. Strategies, Local Change. Cambridge: Cambridge University Press. Online Journalism’, New Media and Society 6(4): 443–68. of Journalists’, Aslib Proceedings 52(5): 166–73. Perceptions in a Changing World’, Journalism Practice 2(3): 357–71. Media and Society 4(1): 9–27. the Future of Media, pp. 21–38. New York: Routledge. pp. 77–97. New York: Peter Lang. Reich, Z. (2008) ‘How Citizens Create News Stories’, Journalism Studies 9(5): 739–58. Being Less’, Public Opinion Quarterly 69(5): 698–715. a Broken Cease-ﬁ re’, Journalism 2(2): 197–220. in M. Tremayne (ed.) Blogging, Citizenship and the Future of Media, pp. 225–37. Salwen, M. B. (2005) ‘Online News Trends’, in M. B. Salwen, B. Garrison and P. D.
and Dead Ends’, Harvard International Journal of Press-Politics 7(3): 55–75. of Online Forums and Reader Email’, Media, Culture & Society 22(2): 205–21. in Transition – Russia and Ukraine Compared’, Party Politics 9(1): 77–104. and the Public. New York: Routledge. Sigal, L. V. (1973) Reporters and Ofﬁ cials: The Organization and Politics of Newsmaking. Lexington, MA: Heath. Online’, Journalism and Mass Communication Quarterly 78(1): 65–80. Election 2000’, Journalism and Mass Communication Quarterly 80(1): 39–56. Journalistic Professionalism’, Journalism 4(2): 139–63. Organizations’, Journalism Studies 5(1): 3–18. Old Norms and Practices’, Journalism 6(2): 173–98. Protests in South Korea’, New Media and Society 9(1): 71–92. New Media’, European Journal of Communication 19(4): 483–505. Thompson, J. B. (1995) The Media and Modernity: A Social Theory of the Media. Content Initiatives by Online News Media’, New Media and Society 10(1): 139–57. and the Future of Media, pp. 261–72. New York: Routledge. Tuchman, G. (1978) Making News. New York: Free Press. Turow, J. (1997) Breaking up America: Advertisers and the New Media World. Chicago, IL: University of Chicago Press. New Journalism’, Journalism 2(2): 175–96. Wall, M. (2005) ‘“Blogs of War”: Weblogs as News’, Journalism 6(2): 153–72. of Controlled Commodiﬁ cation’, Media, Culture & Society 29(5): 772–89. Media Gatekeeping and the Clinton–Lewinsky Scandal’, Journalism 1(1): 61–85. X. Li (ed.) Internet Newspapers: The Making of a Mainstream Medium, pp. 243–59.